If It's Too Loud...: Durand Jones & The Indications - "Morning in America"
Durand Jones & The Indications - "Morning in America"
"The lyrics speak to how many of us feel every day in this time of political and environmental uncertainty— flitting between anger, despair, anxiety but ever returning to a sliver of hope that there’s still a path forward. We so often divide ourselves by our differences. Acknowledging those differences is crucial; listening to those different from us is crucial. But viewed solely through that lens, we are fragmented and few. When we look at the country along economic lines, however, a different picture emerges. Suddenly people of all of colors, in every part of this country, can find themselves on the same side, united by a shared struggle to simply survive in the richest nation to ever exist. This song was inspired by The Poor People's Campaign, a movement started by Martin Luther King Jr. shortly before his assassination. It functions today as a nonpartisan organization that promotes intersectionality and inter-movement unity as a tool of addressing systemic injustices." You can watch the video for "Morning in America" below. American Love Call, the new album from Durand Jones & The Indications, will be out March 1 on Dead Oceans/Colemine Records. The album can be pr-ordered here. 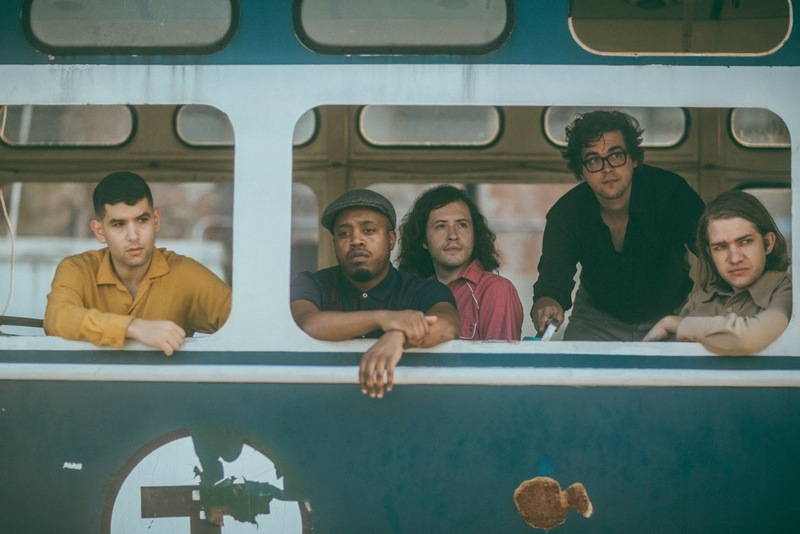 For more on Durand Jones & The Indication, check out their website. Current tour dates are below the video.